The best, the ones who win titles or challenge for promotions, think their way through games and solve complex tactical problems rather than simply tackle, run and shoot. 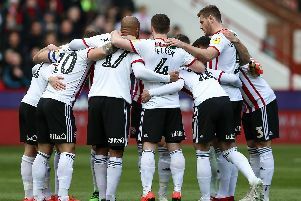 This weekend, when Preston North End arrive at Bramall Lane, Sheffield United's players are bracing themselves for a cerebral as well as physical test. In the corresponding fixture last season, Chris Basham and his team mates lost despite enjoying more territory, more possession and more shots on goal. Five months on, after Alan Browne's strike ended their hopes of reaching the play-offs, the midfielder believes United are more streetwise. "I enjoy the tactical aspect," Basham said. "I enjoy analysing the matches and what happens in them. "It's becoming more important, as you look to keep progressing. That's why this is something we've looked at a lot and dedicated plenty of effort to." At first glance Basham, a whole-hearted, roll-up your sleeves and fight kind of footballer, seems an unusual poster boy for United's new strategic approach. Yet, as his performance during Tuesday's draw with Birmingham City demonstrated, beneath the brawn a sharp brain lurks. Marshalling the periphery of a three man defence is a difficult job at the best of times but, with Wilder demanding they push forward at every opportunity, United's centre-halves must possess both athleticism and an excellent positional sense. A near permanent fixture in the starting eleven, Basham has proved he can deliver both. 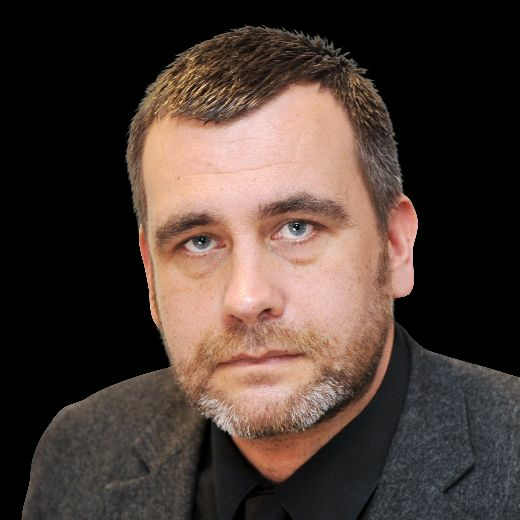 Preston's visit, given how April's meeting unfolded, represents an opportunity for United to not only avenge that defeat but, perhaps more importantly, showcase the fruits of their work with Basham predicting this term's race for promotion from the Championship will be tighter than before. "As you step up in levels, it becomes more important to be tactically switched on," he explained. "last year, with Fulham and Wolves in the division, you came up with plans to try and stay in the game but they broke you down by doing the same things over and over again. "They had that little bit of extra class but, at the same time, it showed the importance of tactics. They knew what they had to do and they trusted themselves to do it. So they stuck to what they'd been doing in the week." "If you've got good players around you, it makes you look better too," Basham continued. "You want to show them what you can do and you want to be a part of that class group. We've brought good players in here, on top of the ones we'd already got." One of those new arrivals, midfielder Oliver Norwood, has made a particularly significant impact since moving to South Yorkshire. However, after impressing against the likes of Bolton Wanderers and Aston Villa, his fractious display during the stalemate with City arguably cost United dear. Still, despite Wilder's frustration with the performance and result, his squad showed signs of their improved acumen. Seven days before Browne's close-range finish propelled Preston to a rare away win over United, they had somehow conspired to lose at St Andrews. Even though, as Wilder later lamented, City showed little inclination to cross the half-way line. Efforts to introduce more subtlety into United's work have not come at the expense of their core principles. "As the gaffer always says, you can have all the tactics you want but if you don't win your tackles, headers and races then they're not going to count for much," Basham admitted. "That side of it, the determination side, is still there. it's got to be because the gaffer will never let that drop." Psychology will be important during this latest meeting with Alex Neil's side. Preston travel east without a win since the opening day of the season and, 23rd in the table, planning to test United's patience. "In the Championship, attitude is such a big thing," Basham said. "It can be a fight for 60 or 70 minutes and that's why the first goal is so important. There's load of quality in the division. Obviously there's no one like Eden Hazard but it's still throughout the competition." "After going so close last year, taking it (the play-off challenge) to the penultimate match, we wanted to prove it wasn't a one-off. We're in a good position and, in one sense, the league might not be as hard because there isn't a Fulham or a Wolves in it. In another, it might be tougher because the margins will be closer. Teams like Stoke will get going but it might take them a while."